The smartphone market is growing and the demand for better devices and applications is only increasing. The pressure is on building better and stronger devices that can deal with customer expectations and digital pressures as well. Original Equipment Manufacturers (OEMs) are the ones who develop various software upgrades and additional accessories. Hence, there is a constant upgrade that requires regression testing where thousands of test cases are executed to confirm that the software product doesn’t deviate from the expected performance. There could be constant changes across various products, but it is important that other elements within the product’s system must not get disrupted due to the recent changes. This calls for a much more complex regression suite for validation of services. Practically, there are some key reasons why Regression Testing is recommended for OEMs. Integration of all components within a system is absolutely critical for the device or the software to work seamlessly. When new changes happen, the older modules might go for a toss, and that’s where Regression Testing is needed. It ensures that the older programming and settings continue to stay operational despite the new changes. Hence, it is a much needed process for OEMs, as they need constant upgrade and change. There are some intrinsic challenges that teams can face during regression testing. One of the more critical ones is when you resolve one bug and many other bugs start coming in. This increases the complexities and even the test cycle time. Even with automated scripts there are chances of Automation gaps resulting in customer-found regression defects. When there is a delay in detection of bugs while closing the regression cycle, it can ultimately result in output delays. This can be detrimental for the development cycle and also incur high development costs. Hence, to deal with these challenges and bring in test automation efficiently, it is important to plan and strategize regression testing. 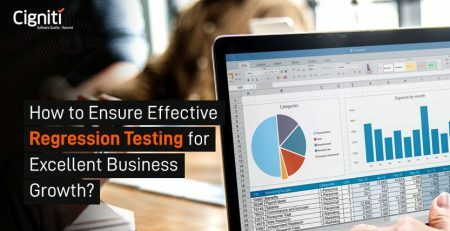 Regression Testing can contribute substantially to product quality and product development in terms of ensuring seamless integration and defect resolution. It has a huge role to play, where it verifies and validates whether the code fixed by a regression is actually corrected by the respective test. In this way, it keeps the overall development process intact and in sync. Regression Tests form a part of the bug tracking report for a system, where the symptoms caused by a bug are tracked. In the process, various functions and features are tracked for checking the replication of symptoms caused by a code. The tests help in tracking these defects and identifying the cause with constant regression. This is critical for OEMs, where any upgrade can impact the overall functioning of the entire system/device. Effective tracking can ensure full correction and confidence that the error/issue shall not repeat. There are a lot of factors that can cause a specific symptom or behaviour. Nevertheless, it is critical to track the code back to the symptom and confirm that it is causing the disruption. Otherwise, it can create further disruption if the code is not effectively tracked back. Ultimately, the effort to identify and correct the defect can go in vain, resulting in replications. 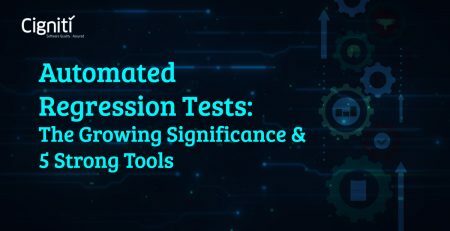 Regression Testing can finally help in complete symptom coverage by identifying the undefined connections between certain behaviours. Regression Testing needs thorough documentation, which becomes critical for backtracking and reference. Defect Management report documentation, tests in the regression log, and detailed comments help teams to resolve defects quickly and build an integrated code management system. This documentation can be used to build automated tests that can speed up the testing cycle. Specifically with reference to OEMs, regression testing ensures that the code gets fixed and all the elements work synchronously together. The best way is automation of the tests, which brings down the errors and ensures functionality. Rapid continuous testing is needed to help rectifying the code and testing the features of the device. Regression Test suits are used constantly to ensure the system’s operation and integrated functioning. Today, users are demanding rapid changes to their applications and devices. In the current era of Digital Transformation, these changes are needed to survive in a challenging market scenario. 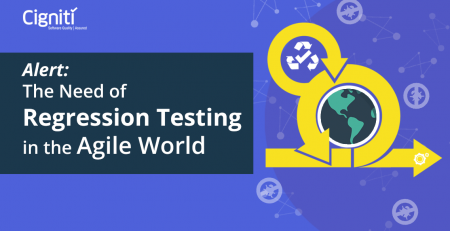 Regression Testing is indispensable to ensure that the overall application or device works seamlessly.